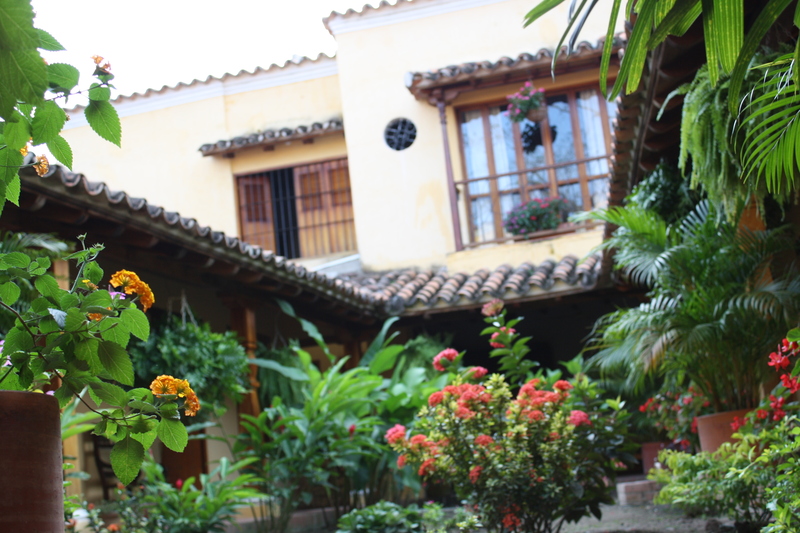 The Casa Amarilla is a new guesthouse in Mompos (Bolivar) that Alba and I opened in 2008 with accessible prices for a variety of styles of room. We are in an unrivalled position just one block away from the iconic Santa Barbara church along the banks of the Magdalena river in the colonial heart of the town. Our guesthouse is one of the original colonial buildings in the town. It has been a real labour of love, restoring and refurbishing a devastated colonial building with foundations dating back to the 16th Century, but one that has been both fun and rewarding. All the more so now that we are receiving guests from all over the world on a daily basis. Our idea has always been to provide top quality yet unpretentious accommodation so that others can enjoy what we love about Mompos, the architecture, literature, nature and the people. The reason for the Casa Amarilla has been to provide jobs and stimulate economic growth in Mompos. We firmly believe that through tourism and its trickle down effect we can help change the situation here, for this reason we are well placed to send people out with local guides, to local restaurants and shops and ensure that the people of Mompos benefit from the Casa Amarilla. Hopefully you can come and visit us soon!